A black and white document detailing the information of the Tuchak family perhaps from during their immigration to Canada. 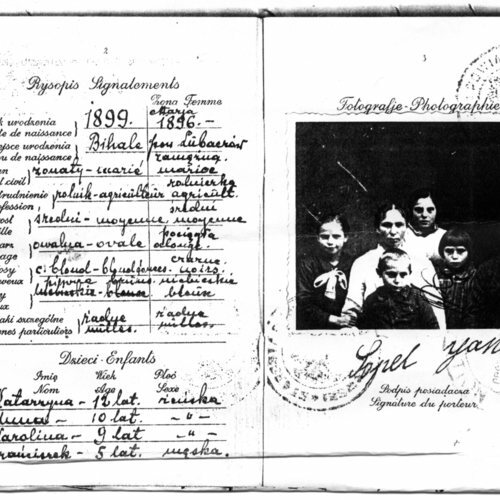 Includes a photograph of the five members of the Tuchak family, four children and two parents. 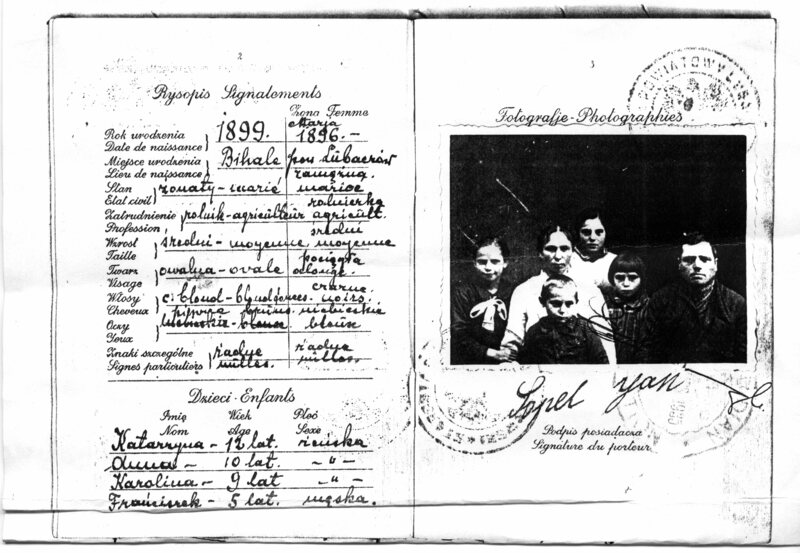 “Tuchak Family,” Association of United Ukrainian Canadians - Vancouver, accessed April 26, 2019, https://auucvancouver.digitalhistoryhub.com/items/show/303.